Victoria is a charming four-year-old who lives with her parents and has a happy day at school and in various activities afterwards. She also happens to be a Down’s syndrome child, which is only apparent from her physical characteristics. We meet her in striking photographs taken by her mother, the author, and we see her through her day in all the routine settings where one would find four-year-olds. 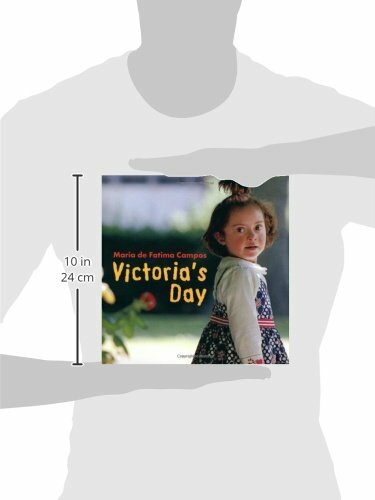 The emphasis is on the normality of Victoria’s life, and children will see an ordinary little girl having a good day. This, no doubt, is the author’s intention, and an afterword by the Chief Executive of the Down’s Syndrome Association makes clear their opinion that Down’s children belong in local schools, that inclusion will be beneficial to everyone. Large, black print makes the book easily read, and lots of Victoria’s bright, splotchy paintings decorate the pages. A valuable book for primary classrooms.